Venue says POP UP SAKE COCKTAIL BAR THIS WEEKEND! Next door to Mr Bao in a new location. Come and check it out. 6pm-11pm Friday and Saturday. 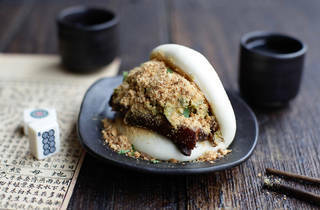 An ultra-on-trend bao joint with big portions at little prices. 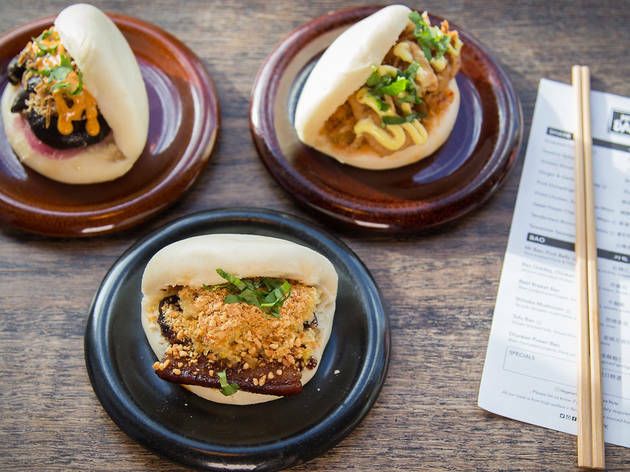 Anyone with a social media account knows what a bao is by now: these fluffy white pseudo-sandwiches occupy more collective screen space than the aubergine emoji. 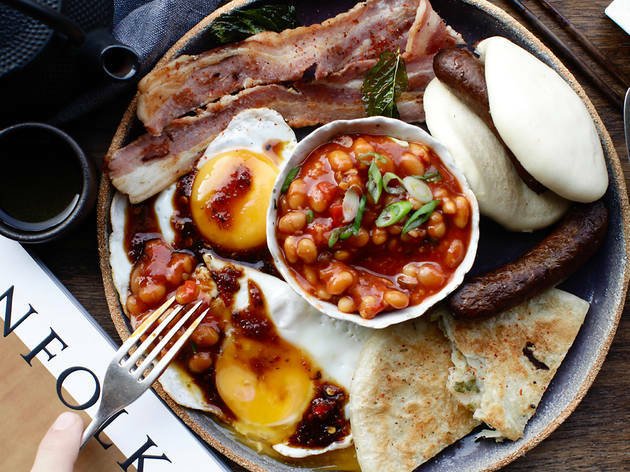 The tipping point came last spring when street food trader Bao opened a dedicated restaurant in Soho and created the sort of queue you’d associate with Alton Towers. 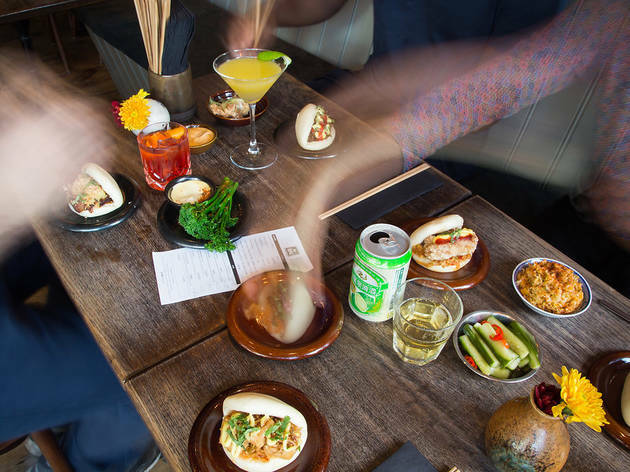 Twelve months on, Taiwanese snacks are now a full-on London food trend, and first to the punch in south-east London is Mr Bao, a pocket-sized restaurant from one of the owners of Miss Tapas, which serves better-than-solid Spanish food on nearby Choumert Road. 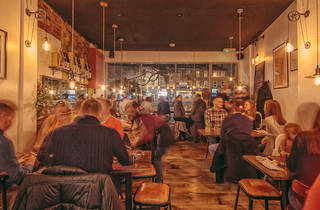 It’s not just the food that’s on-trend – between the naked bulbs and functional decor, this looks exactly how you’d expect a buzz-surfing restaurant in a fast-gentrifying area to look. It’s becoming a tired aesthetic, but souvenirs from the Far East and an Asian-only beer policy add character. But how about them buns? The first thing to note is their size – they’re a good 50 percent bigger than you’d find in town, yet are similarly priced around the £4 mark. 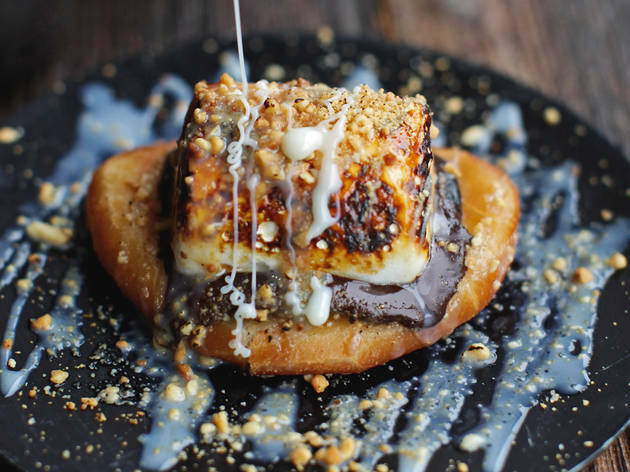 There are five to try, plus a selection of sides and gooey bao s’more for dessert. They even do brunch. 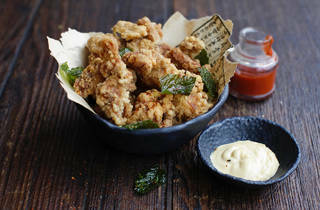 Fillings focus on pan-Asian flavours: shiitake mushrooms with teriyaki and fried chicken with wasabi mayo and kimchi. Options like slow-cooked lamb with mint or prawn with guacamole reveal international influence. 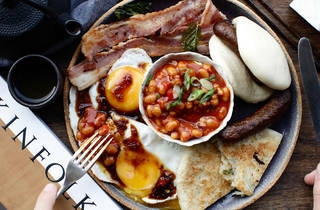 I tried the whole lot and found not a dud among them; every single ingredient – from zingy pickled bits to punchy dressings – makes its presence felt, while the steamed milk buns are soft and light, just the way London likes them. Service, if anything, is a touch over-efficient, which doesn’t help the hurry-hurry vibe of what’s clearly intended as a high-turnover operation. 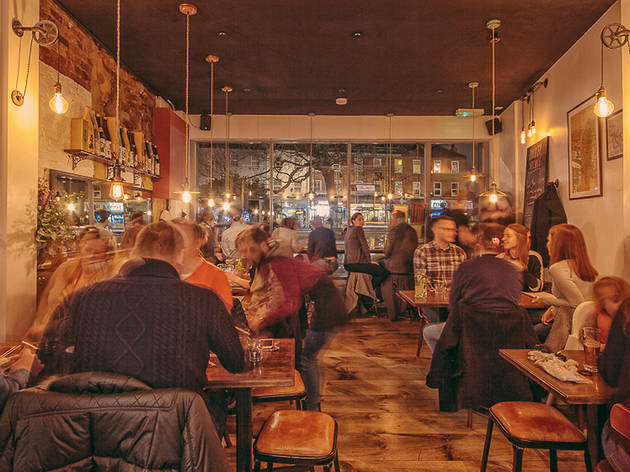 And while Peckhamites may feel that queueing for their dinner sets a dangerous precedent, thankfully there’s the option to put your name down and go for a pint while you wait. 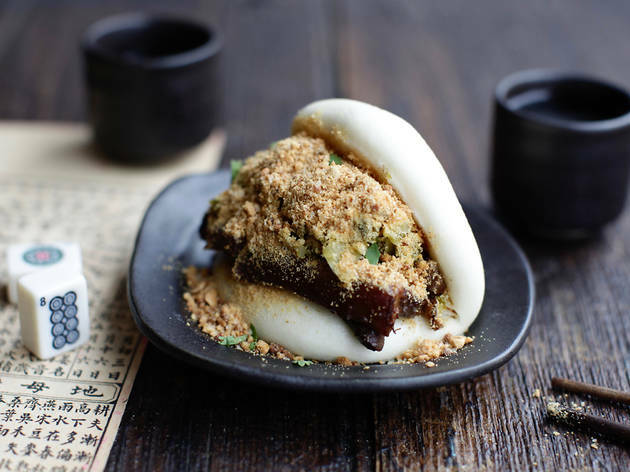 Offering a slice of Soho in SE15, Mr Bao delivers great value, modish Taiwanese cuisine and – like it or not – the slightly stifling buzz that comes with it. 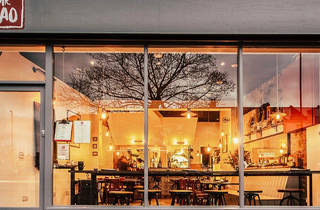 Mr Bao is Peckham's local Taiwanese restaurant. 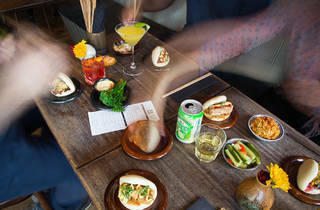 Serving beautiful Asian food with a focus on the amazing, fluffy bao bun. We have a range of small plates to share as well as delicious cocktails. We also serve a fantastic brunch on the weekends. We have high chairs for our smaller customers, too and you can sit watching your food being made in the kitchen if you'd like. We have a really friendly team who can make you feel incredibly welcome whether you're in a large group or on a date! Shiitake Mushroom Bao. Shiitake Mushroom Bao. 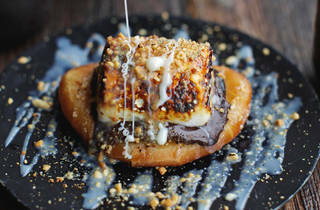 And I beg you once more to order the Teriyaki Shiitake Mushroom Bao with Miso Mayo & Crispy Onions! Even if you insist on going against truly sound advice, don't miss a visit to Mr Bao because everything else I ate/drank that evening was 110% worth the long wait for a table in the pub across the road. This is a family-run affair with a lot of heart, soul & flavour. 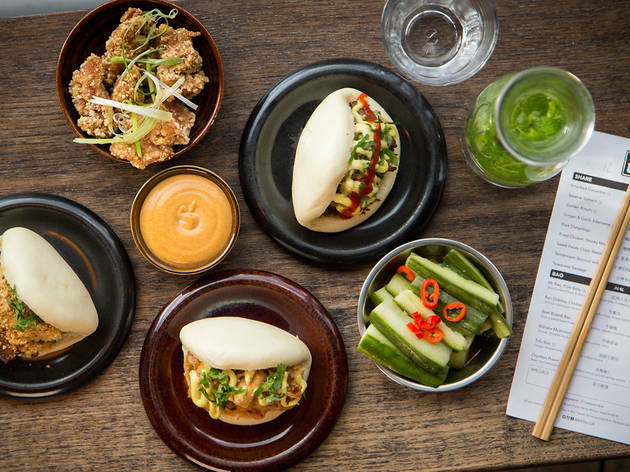 I think mr.bao is great, there is not somewhere offering similar fare anywhere in Peckham, it is really affordable and the service is great. Definitely worth trying all their sides, the golden kimchi is particularly delicious. They also get new and interesting beers in quite often, last night I tried a smokey lychee beer which was really different and very tasty. .
Small venue so i would recommend going during the week as I have noticed it is more rushed and hectic at the weekends. Make sure you book ahead. The food has always been delicious, sticky food perfect for pre drinking (or hungover) appetites. The food can be a little heavy so ask questions about your order, you can quite easily end up with all the greasy orders without realising. The staff are super friendly and attentive and service is fast. Very affordable too, i'll continue to go back many many times! 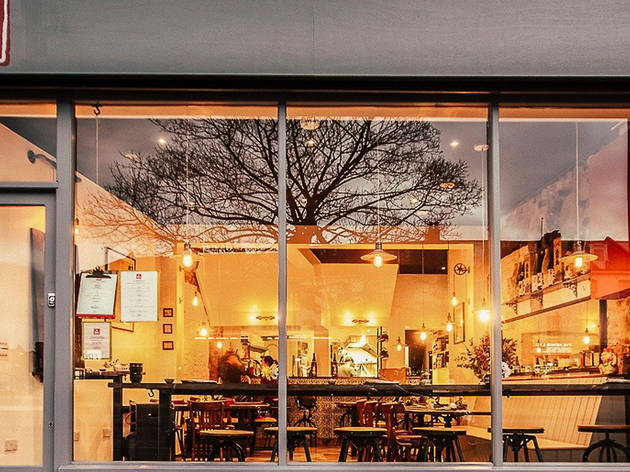 After a massive hype from both friends and reviews, we had big expectations for this popluar local haunt - but sorry to say, we left feeling it was a bit lack lustre. The meal would have been improved had the chicken and the prawn bao not been deepfried, leaving it oily and bland, and the broccoli was given a little TLC. We had a Mangorita and a Lime Beer, both were below parr and not the sharp drinks we needed to cut through the heavy food. The service was excellent however, quick and friendly and hey, got to look out for your locals - hence the 2 stars. Maybe a menu change and we would give it another go. 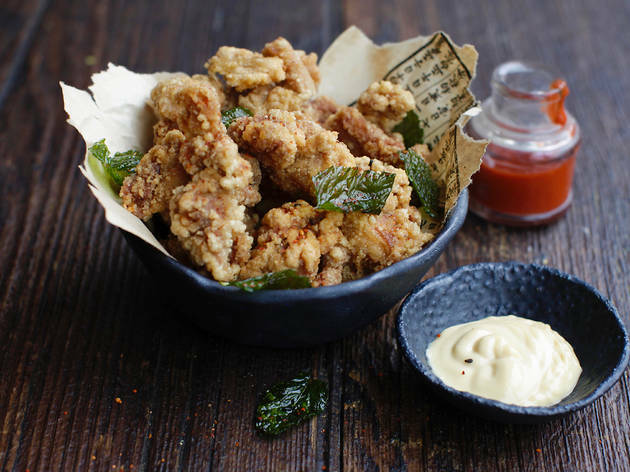 Ditch the deep fryer! Oh Mr Bao. I braved snow and cold and potentially not being able to get my train home to visit you down in deepest Peckham, and you rewarded me greatly. The pork bun in this cosy little restaurant was the best I've ever had (so far). Melting melt and crunch peanuts encased in a silky smooth bao bun. I had two. The crispy chicken was actually crispy with yummy tangy mayo (better as a side than in a bun in my opinion); the sautéed spinach in sesame dressing a revelation; the dumplings crispy but soft; the broccoli nice and firm and a well needed bit of wholesomeness in what felt like a tapas style bao blow out. I had sake for the first time that was amazing and I'm slightly concerned at how easy it was to drink. The service was a bit sketchy, not sure how their ordering system works, but the food made up for it so I didn't feel too hard done by with waiting. I have been wanting to eat here since I spied it when on a Goodgym run. I finally got the chance this week to go. We went on a Wednesday and I was very glad we booked, people were being turned away or waiting for a table to become available. We arrived ravenous and prepared. I had three baos: the pork belly, shrimp, and the special that day which was a brisket bao with jalepeño sauce. Pork belly bao in Taiwanese cuisine is like pad thai in Thailand cuisine-- if you screw it up you are destined to fail. Mr. Bao does not fail to disappoint. Deliciously juicy and flavoursome pork in a lovely soft bao. The peanut powder really enhances the taste, but I wonder what it would taste like without, given the nut allergies. I assume still delicious. I really enjoyed the brisket bao more though in terms of flavour. The brisket had a smokiness to it and paired with the jalapeno beautifully. Definitely get if its back on the menu. The shrimp one was OK but actually what made it was the mooli. Its crunch and texture really brought the whole thing together. I was as surprised as you. The sides that stood out? Sesame spinach salad, broccoli, and the chicken. My dining buddy recommended the chicken as an appetiser over the chicken bao-- so there you have it. The ordering and delivery of the food is a bit haphazard, and the staff seemed to struggle to keep up with food and drink deliveries. That being said though, I would definitely go again. Excellent place,excellent food,excellent music ,excellent staff.I loved this shop at first sight. Have wanted to try this place for ages and finally went last night (28/10) as a birthday treat, we didn't book a table but was able to get a place at the window. The food was just amazing, so flavourful and tasty... We may have ordered too much but we couldn't help it, I highly recommend the pork Buns as they aren't smothered in that sickly sweet sauce every other restaurant seems to do. 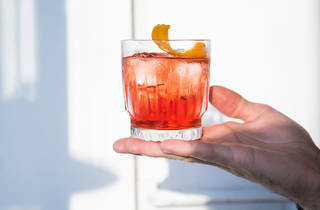 Word of warning - the cocktails are a tad potent but that's not a complaint. Thoroughly enjoyed our experience and we are going back this Sunday! Such a fun, relaxed and delicious place to eat. After 15+ visits, I am yet to find any problems with Mr Bao. Great staff, interesting, punchy food (marinated egg seems odd but is completely spectacular and £1.50) and a fantastic atmosphere. Vote Mr Bao, nao. Original taste sensations! And great value. Really great food and drinks menu, lovely atmosphere and friendly, warm service. I’ve been dying to try these on-trend Taiwanese buns ever since they first exploded onto London’s foodie scene. However, the idea of queuing for dinner has often put me off at BAO in Lexington Street and Fitzrovia. So when I found out about the alternative Br Bao in Peckham and I was in Peckham, I had to finally try it. Lucky, there wasn’t a queue (Saturday lunch time) and it didn’t disappoint. 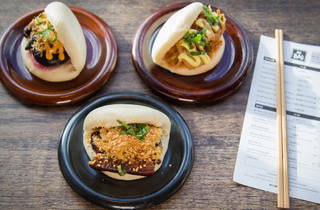 There’s a simple menu with five Bao’s to try accompanied by a decent selection of wine cocktails and beers. The Bao’s themselves I found to be faultless. Soft, pillowy white buns stuffed with meat and flavour. Try the Mr Bao Pork belly with slow braised pork, house pickles and roasted peanuts or the moreish fried chicken with house kimchi and wasabi mayo. The are priced very reasonably around the £4 mark so you’ll have some change in your pocket. Bao’s are small plates so I recommend ordering two buns per person. They do brunch on the weekend too. Staff were very welcoming and the interiors are pretty cool too with its naked light bulbs and exposed brick giving Mr Bao an industrial chic look reminiscent of those eateries found in Shoreditch and Soho. Floor-to-ceiling windows fill the interiors with natural light which I am a fan of. Like BAO, it’s a pretty small place so you may be expected to wait for a table but nowhere near as big as in Central London. However, you can sit at the bar while you wait. Ultimately, a very good place to come for your dinner or lunch in a nice airy space. It’s really good-value and the buns are delicious so definitely worth visiting if you’re in the area. Amazing food, lovely staff and a great atmosphere. Best place in London! 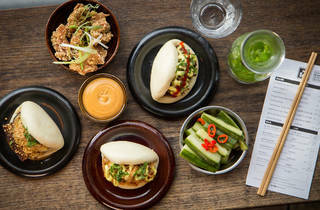 super friendly and simply delicious steamed buns with a range of flavours. All of them good. Could eat them all day. All The best meals I had this year were at mr Bao. Food it outstanding and every time I go there is a selection of delicious cocktails. Incredible food! Every time I'm there I can't go past the sticky pork bao, or the dumplings if they're on special that day. Staff are always friendly, atmosphere is chilled, and it's reasonably priced which always helps. Frank and his team are awesome. My lasting memory of Mr Bao is of divine little plates of loveliness with steamed buns to sink your teeth into. 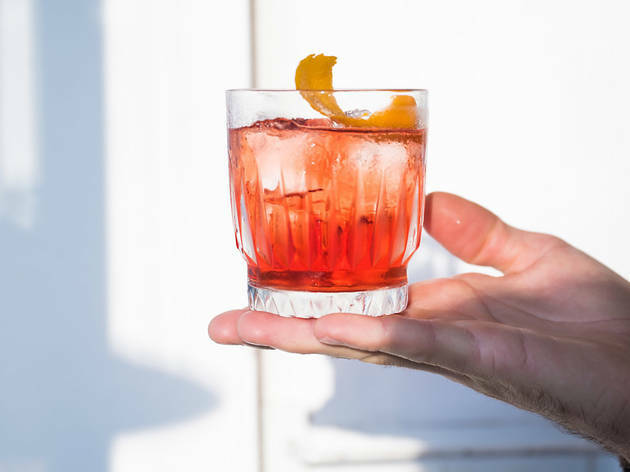 They create perfect dishes to share, with wonderful cocktails and a friendly atmosphere. So pleased to welcome them to my neighbourhood. Mr Bao is a superb local restaurant. The food is delicious, so fresh and vibrant & a little different. It offers great value for money and is very family friendly. It's the sort of place that makes kids excited about food. The service and atmosphere just top things off as its owned and run by a great great team of very welcoming people. Can't recommend it enough. If you venture out of your comfort zone and area for food its got to be good! Thankfully Mr bao delivered in that aspect! The decor is cosy and cute so right away you know you're in for a good time! Sadly when I came they'd ran out of chicken in the whole building so I didn't get to try the poultry dishes.however, my disappointment became a thing of the past when my prawn baos arrived! Jesus have mercy!!! Pure flavour!!! Those morsels were so delicious I found myself ordering more! I'll be going back to sample more of their menu and something tells me I won't be disappointed. This spot is way better than bao in my opinion ... Pricing is better and the buns had more flavour! I spent £15 and came away stuffed to the brim! My only complaint was the dessert bao... It was a twist on a smore and it was horrible :( .. Oily not sweet and frankly a little bitter from the dark chocolate ..but its not enough to deter me from returning! Its a great spot for delicous food! Delicious! Wonderful Staff, fab menu and just the most yummy food. Absolutely loved this place! We had to wait for a table, as one does nowadays, but was well worth it. The food came out quickly; it was fresh and so delicious! Can't wait to go back. The food was quite good but thy did get our order wrong and then the bill as well - we had to ask four times until they got it right. Loved this place. We've now been a few times, going back for the food (make sure you have the Mr Bao, the Mushroom bao and the broccoli!) and also the good service. The girls aways do their best to fit us in, and once when we sat at the bar we had a good chat with the barman as he made the desserts and drinks. Great buzz, and good prices (around £40 for two with drinks). My tip would be to get there early as it can get very busy. Great bao. Delighted Mr Bao is in the area. Went last Friday evening and had a fab time. Was absolutely ravenous and ordered all the Bao's, the steak special and a bunch of sides (8 or 9 dishes in total) plus the dessert and it was all really tasty and hit the spot for 2 hungry people! All the staff were friendly and it was interesting to watch them crank out the dishes in such a tiny kitchen area. And I'd disagree with Jeremy, had a good feed (and I can eat!) and thought it was reasonably priced. Small, overpriced portions - especially the sharing plates. Had the recommended 8 dishes between two but left feeling hungry.